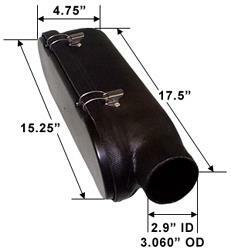 Provides a plenum for cold air drawn through a remote filter system. Very important for efficient functioning of electronic fuel injection systems. Helps to reduce intake "roar". Helps equalize distribution to individual intake runners. 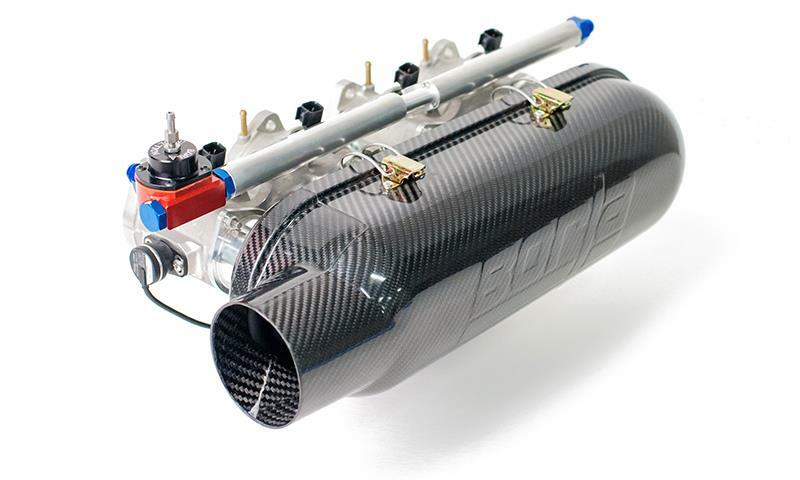 To fit the 4-cylinder air box, on 2900 series throttle bodies, it will be necessary to install extensions (shown left), This unit is made of carbon fiber and has a 3" inlet tube. NOTE: THESE UNITS CANNOT BE PRESSURIZED. It has been brought to our attention that our air boxes, were not designed for, nor will they pass, the SCCA single-inlet restrictor test. In the immediate future we would advise against trying to use the box in an SIR application. We are working on solutions. The air boxes function normally in all other applications.